The efficacy of Bacillus Calmette–Guérin (BCG) vaccine in preventing adult tuberculosis (TB) is highly variable. Genetic differences between BCG vaccine substrains, which can be divided into early strains and late strains based on the loss of region of difference two (RD2), may result in the variability and BCG substrains. The effect of lack of RD2 on the protective efficacy of BCG substrains against TB remains unknown. 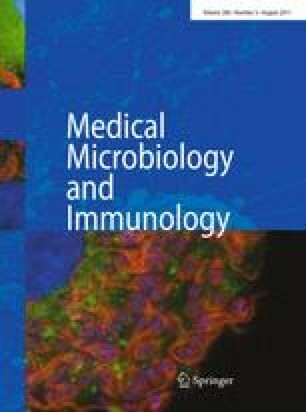 In this study, we demonstrated that CFP21 and MPT64(rCM) fusion protein, encoded by RD2 of Mycobacterium tuberculosis, could stimulate higher level of interferon (IFN)-γ in tuberculin skin test (TST)-positive healthy population than in TST-negative healthy population. Compared with naive mice challenged with virulent M. tuberculosis H37Rv, C57BL/6 mice vaccinated with pcD2164 DNA expressing rCM protein resulted in a greater decrease in the bacterial load of lung. Moreover, pcD2164 could boost the protective immunity in mice primed by BCG than BCG alone or DNA vaccination alone, as evidenced by lower bacterial load in the lung tissue and reduced lung pathology. The protection induced by BCG prime-DNA vaccine boost strategy was associated with significant increases in rCM protein-specific IFN-γ. Therefore, our results clearly indicate that the loss of RD2 has an important influence on the protective efficacy of different BCG substrains. These findings will benefit the optimal choice of BCG substrain for neonatal immunization and rational design of new vaccines for the prevention of TB. The authors Chun Wang, Zhenhua Chen and Ruiling Fu contributed equally to this work. This work was supported by grants of the Fok Ying Tung Education Foundation (No.114032), the National High Technology Research and Development of China (863 program No.2006AA02Z445), and the Important National Science and Technology Specific Projects (2009ZX09301-014).